SYCC Board members Don Nestor, Rob Rupp, Mayor David McCauley, and Rotarians Mary Dean and Sharla Smith hold the $10,000 pledge at the Buckhannon City Council meeting on Thursday. 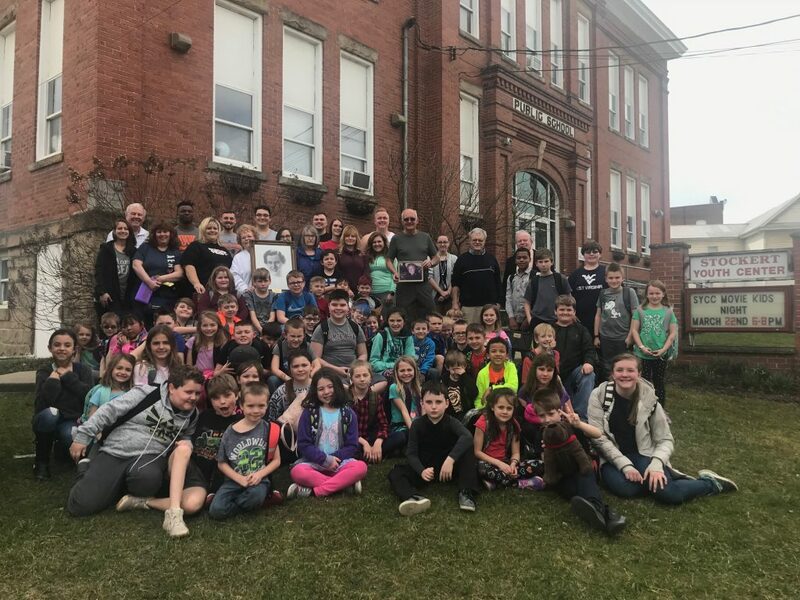 BUCKHANNON, WV: Support for the Stockert Youth & Community Center (SYCC) expansion capital campaign continues to heat up. The Buckhannon Rotary Club and Fox’s Pizza Den both announced contributions to the campaign during Thursday’s City Council Meeting. The Buckhannon Rotary Club has pledged $10,000 once construction is underway, and Fox’s Pizza Den will be contributing part of their sales during April. At the Buckhannon Rotary Club board meeting held on March 11, Rotary leaders decided to make a $10,000 pledge toward the construction of the new gymnasium and multi-purpose facility. SYCC Board members and Rotarians Donald Nestor and Robert Rupp were on hand to accept the pledge. While the gift will not be handed over until construction commences, their financial commitment provides further incentive for other funders to join the campaign. City Council welcomed Mary Dean and members of Rotary to Thursday’s meeting and thanked them for the generous pledge. Mary Dean, Rotary President, addressed the members of City Council to share the good news. “This pledge puts us up to around $280,000 (total to date for the fundraising campaign),” enthused Mayor McCauley. Rotarians and SYCC Board members Don Nestor and Rob Rupp shared how happy they are to see that more progress is being made in facility planning as well as the fundraising efforts, and hope SYCC can set a date for construction to begin soon. Stockert Youth & Community Center provides tutoring, after-school activities, recreation and sports classes & leagues, and summer camps for youth and adults in Buckhannon and Upshur County. Camp Buccaneer and SYCC afterschool provide a safe space for students to have fun, play sports, and participate in a wide variety of activities and special programming. Photo taken March 14 at SYCC during an event remembering SYCC founding donor, Joyce Stockert.